This new Talisman is a perfect and super complicated sigil that I specially designed as a new version of the unique Cosmic Sigil. This version is based on the ancient Vedic and ancient astrological traditions. 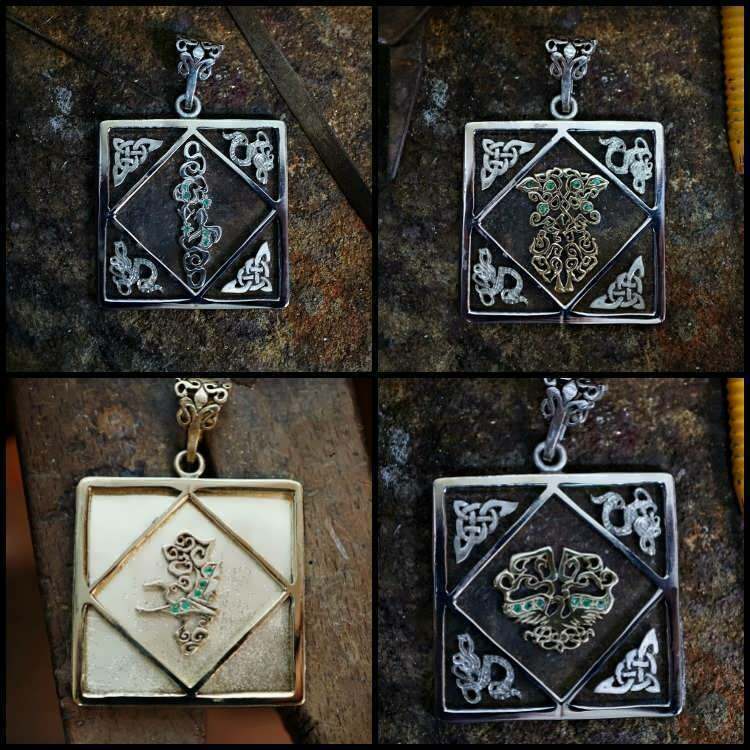 It is also one of a kind talisman that will bring balance and capture your full strength, potential and the true essence of who you are and what you can become. This complex piece was created with the help of the astrologer Michael Ofek, in order to revive the lost art of creating a powerful personalized talisman. 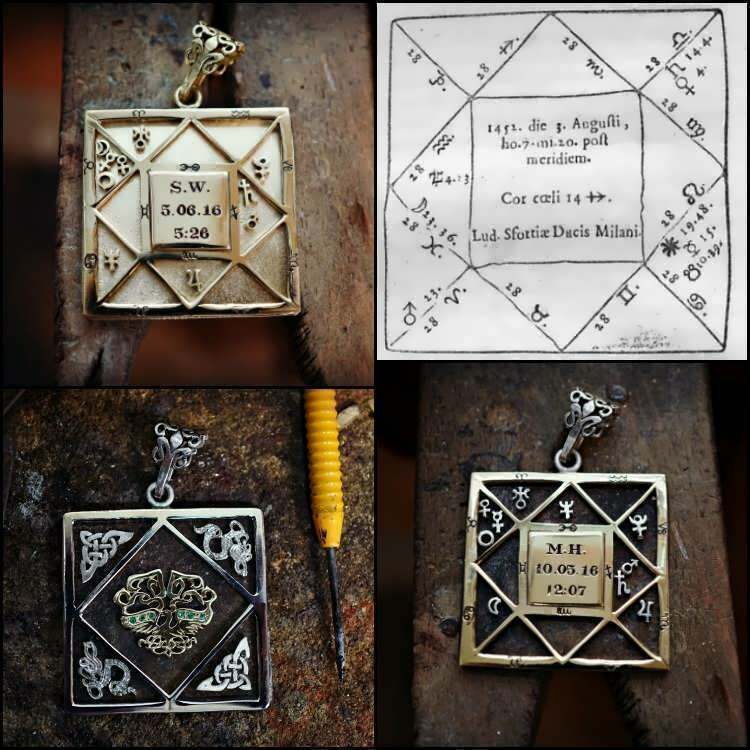 The new personal sigil talisman design is the classical square chart that was used in the old astrological tradition. The round astrological chart presentation is relatively new and modern. Ancient astrologers have used a couple of chart forms, from the most basic cross like form, to the more elaborated square chart, which is still in use in the Vedic astrological traditions, to a variety of artistic kinds of charts with the client's portrait inside. As astral magic and talismans stem from very old traditional sources, we thought it will be right to use also the older chart form, which corresponds more with the older astrological tradition. There are theories that very persuasively make the argument that this chart form is also representative of the sacred geometry “squaring of the circle” which is also represented by the pyramid, as it embeds within its geometrical structure the ratios of the circle and the square. Some say that the square chart has a correlation with the construction of a couple of ancient temples in Egypt. In the square chart the triangles are the houses and the planets are placed inside. The cusp of houses show the sign, symbol and degree in which they fall. In the Talisman we have placed the signs in the outer frame to make them more graphically visible and show the correlation with the planetary placements. 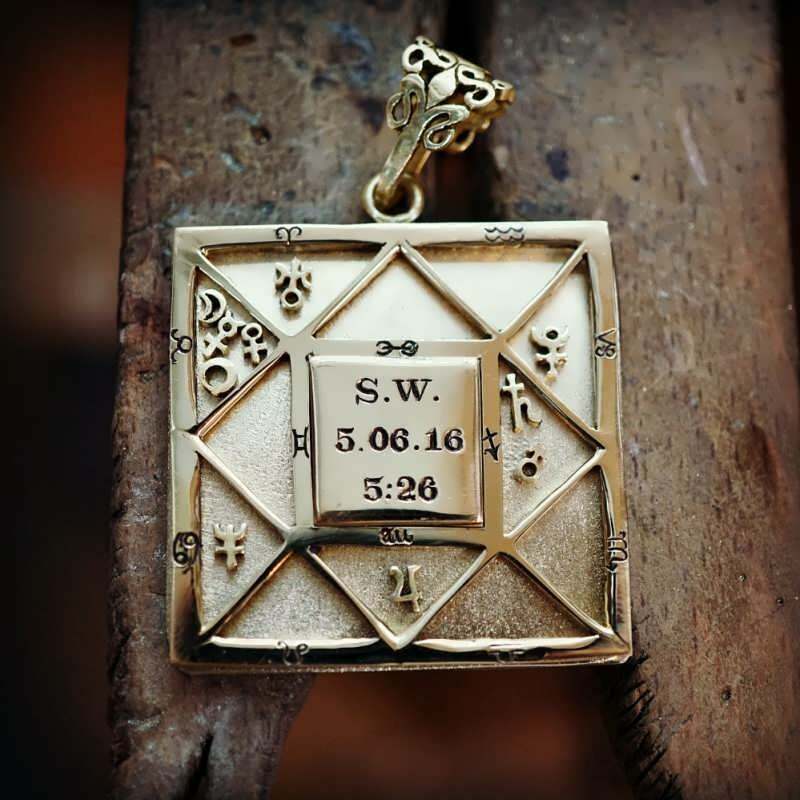 In the inner square I will engrave the initials of the name of the wearer and the Talisman’s chart date and time, making this Talisman even more individual and unique. On the back of the talisman will be placed the glyph of the balancing element, set with emeralds - the stone of wisdom. 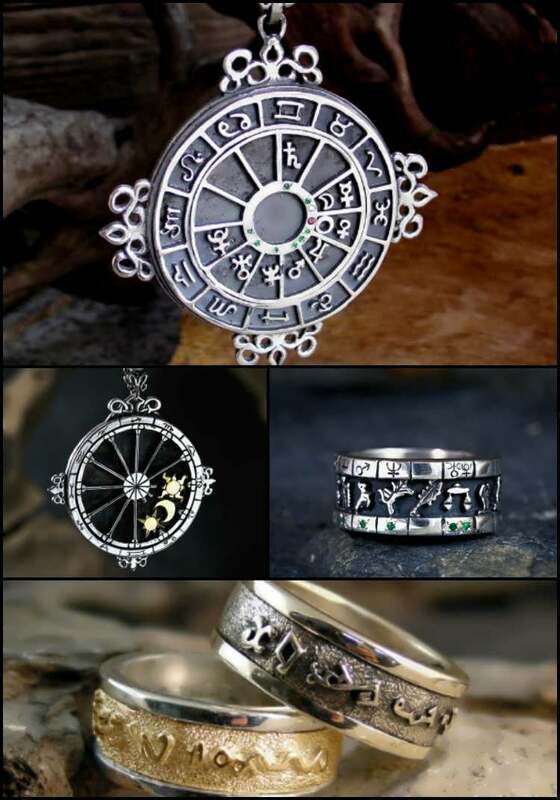 As a unique remedial Talisman, individually designed, based on the birth chart of the wearer, with the planetary placements and configurations that are the most empowering and balancing (the astrological considerations are also given in writing). As a talisman for the solar return of the person (when the sun is at the degree of the natal sun, thus reinforcing its solar potential) with the birth chart as the image. this can be a beautiful birthday present. * this category is only available for the solar return times that fall between our working hours. As an image of the birth chart, without it being a talisman made at a specific moment, yet with the symbolic power of the reflection (like cures like) of one with his natal chart. 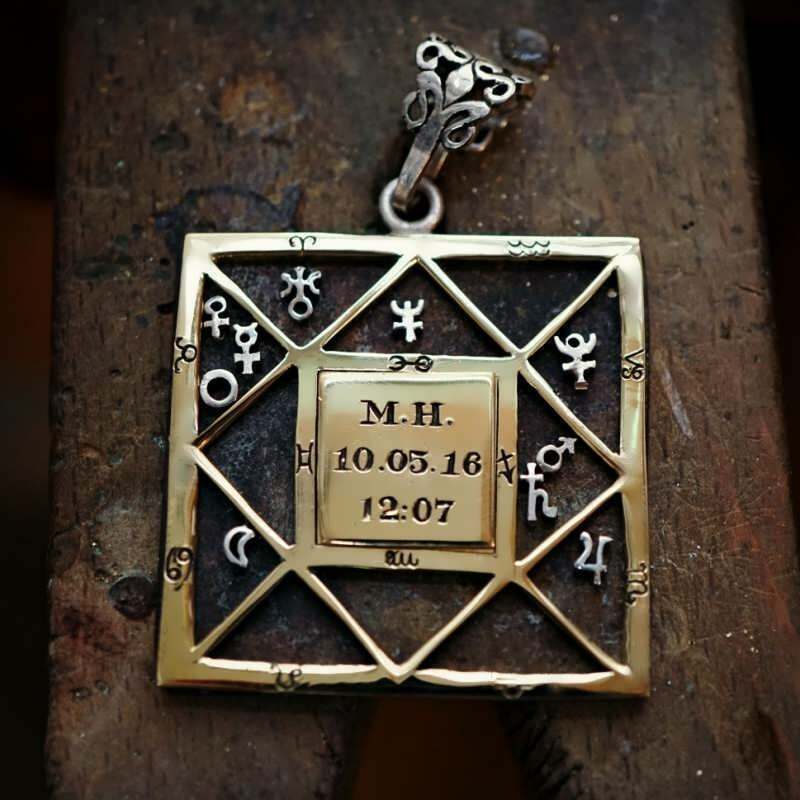 At the time of ordering the Talisman, you send us your date, time and place of birth as accurate as possible, and your category of choice from the list above. Our in-house astrologer - Michael Ofek prepares your birth chart for the talisman. For the first category - remedial Talisman, Michael analyzes the chart to find the exact time that the configuration of the planets is in it's most balancing, empowering and strengthening state in correlation with your birth chart. I will assemble the Talisman (and magically consecrate it) at that exact point in time, In this celestial window of opportunities that stress your full potential and help resolve difficult combinations. The design of the Talisman is a figure of an astrological chart, this serves as a symbolic mirror image of the solar system in relation to earth in the time and place of its making, or the time and place of the birth of a person. The metals chosen in this Talisman are not specific because we are invoking the whole planetary picture, It is made of silver which is a lunar protective metal, and as the lunar principle in astrology is the matrix by which all planetary powers flow forth to the sub-lunar sphere (earth and its atmosphere), so it is symbolic of the energy that binds and connects all the others together. 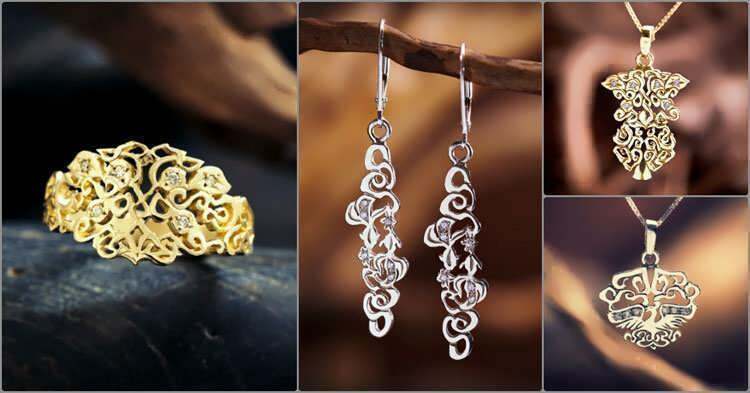 The Talisman can be made also in Gold which represents the Sun and the creative force in it's purest form and also the sublime and the infinite-the aspiration of the ancient Alchemists. In the center of the talisman-The initials of your name and the exact time that the talisman was made . On the backside - Is an image of one of the four elements (Earth, Water, Air and Fire) according to the element that you need in correlation to your birth chart.